Miscela d’Oro and the respect for environment. Miscela d’Oro guarantees quality products as well as a total respect for the environment; we have placed strict controls on our production methods in order to reduce every possible pollution risk. Conservation of the environment and its resources has become everyons’s duty. Miscela d’Oro is aware that any manufacturing activity can generate environmental issues. 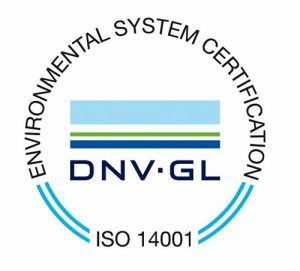 In order to ensure that all procedures implemented to reduce pollution are respected, the company has decided to subject all its business processes to the control of a prestigious external agency, Det Norske Veritas (DNV), that verifies and certifies that all manufacturing activities are in accordance with legislation and respect the environment. All manufacturing waste is sent to specialized waste disposal and recycling companies, and the smoke emissions produced by the roasting process are checked every year. All processes and correct operational methods have been clearly outlined in a handbook and are enforced through continuous internal monitoring. The company wishes to assure all customers that the coffee produced does not cause any damage to the the environment.